The Atlantic University Sport championship game was played Tuesday at Raymond Field in Wolfville, N.S., but only after a Nova Scotia Supreme Court judge on Sunday overturned a decision by AUS officials last week to cancel the game. 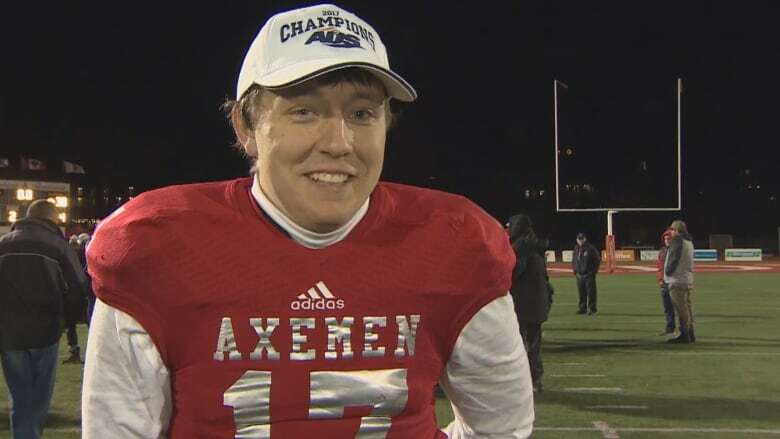 The Acadia Axemen defeated the Saint Mary's Huskies 45-38 in overtime to win the Loney Bowl — a football game that nearly didn't go ahead in the wake of controversy surrounding the eligibility of one player. 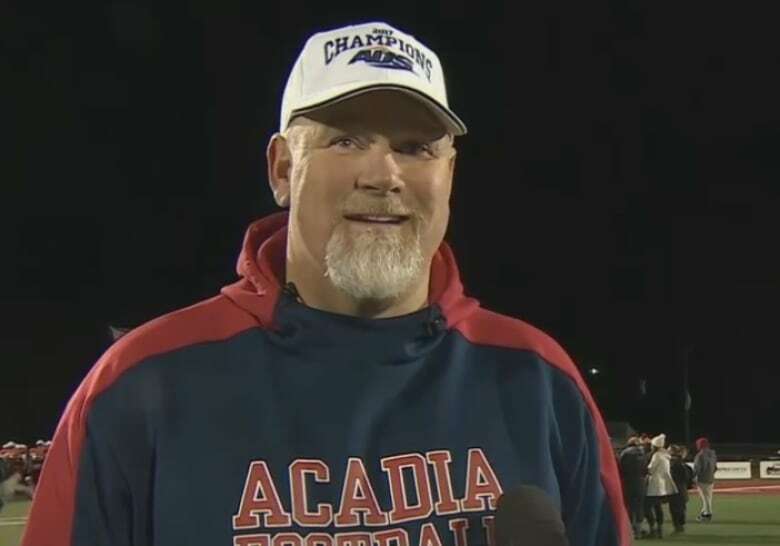 The Atlantic University Sport (AUS) championship game was played Tuesday at Acadia's Raymond Field in Wolfville, N.S., but only after a Nova Scotia judge overturned a decision by AUS officials last week to cancel the game. "SMU is a great team; they played their butts off," Acadia quarterback Cody Cluett said shortly after the win. "It means a lot more when you beat a team of that quality, so, I mean I think everyone was pretty happy." Jeff Cummins, Acadia's head coach, said he was "excited and happy" for the team. "It was a great game," said Cummins. "I'm very proud of my team and the way it turned out. They fought." The stands were mostly full for the game, which had originally been scheduled for Saturday. At the centre of the controversy was SMU's wide receiver Archelaus Jack and whether he was eligible to play university football for much of this season. As he made his way onto the field before Tuesday's game, he was booed. Earlier this season, a number of universities complained to U Sports, the governing body for university sports in Canada, about Jack, who was a member of the CFL's Saskatchewan Roughriders practice roster until October 2016. The eligibility rules of U Sports state any former CFL player, or anyone who remains on a CFL team's practice roster after Aug. 15, has to wait one year before playing for a Canadian university team. Saint Mary's has argued he was eligible, saying the one-year rule could be interpreted as an academic year as opposed to a calendar year. Jack played in every Saint Mary's game this season, including five games prior to Oct. 11 — 365 days after his CFL release. The ongoing controversy over whether Saint Mary's had properly earned a spot in the Loney Bowl led to the AUS last Thursday cancelling the game. It said Acadia would automatically move on to the national semifinals. Tuesday's win cements that matchup: Acadia will play Ontario's Western University in the Uteck Bowl this coming Saturday. "Hopefully we can give them a good game. Coming off of three or four days of rest is going to be tough, but we're not looking for any excuses," said Cluett. "We're going to start prepping right now and come out and play hard against Western. They're obviously the best team in the country right now so it's going to be a tough game." The annual Loney Bowl first started in 1960.